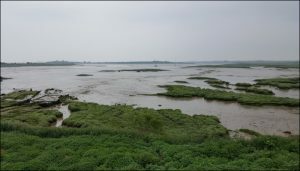 Official Opening of the Saltmarsh Coast Viewing Platform. 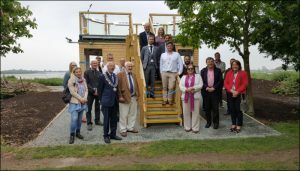 The Maldon District Tourism Team, Councillor’s and visitor’s, as well as John Whittingdale MP, celebrated the completion and official opening of the Maldon Saltmarsh Coastal Hub Viewing Platform at the Promenade Park Maldon on Friday 25th May. 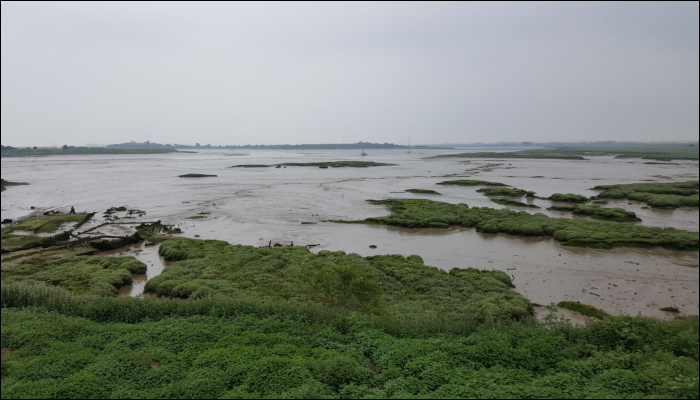 There is 75 miles of Saltmarsh Coast in the Maldon District and there are also hubs in Tollesbury, Heybridge Basin, Bradwell-on-Sea and Burnham-on-Crouch. These hubs enable visitors to see from a vantage point the views across the saltmarsh and be informed about what they are looking at by bespoke information panels and audio posts. The hub is also supported by way marking discs and fingerpost signage along the way. Councillor Henry Bass informed the congregation of visitors that witnessed the cutting of the ribbon, that the hub is a steel frame bespoke structure which is clad in wood. It sits naturally in the park providing shelter and adds to the fantastic attractions already available. 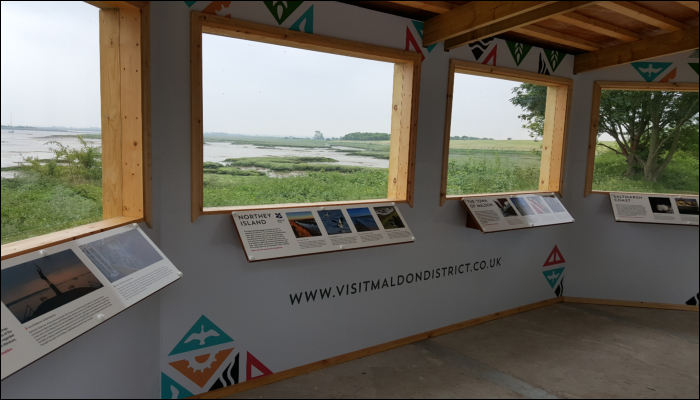 Its location was specifically chosen to look out from the park to the lesser discovered areas of the coastline and was designed to inspire visitors and residents to explore more of our stunning coastline. The project team began in 2015 and what they wanted to achieve took somewhat longer to complete than they first envisaged. They wanted to promote the District as a first-class tourism destination and celebrate what is special about the area in order to attract more visitors. Their achievements include a strong social media presence using all avenues, an exciting ‘Sense of Place’ brand and quality public signage and of course visitor hubs. The project was funded by the Coastal Community’s Fund round 3 and the Magnox Socio-economic Scheme. Cllr Penny Channer informed us that tourism is a key driver for our local economy and told us that the district attracts thousands more visitors each year. Tourism is now worth £195 million pounds to our district economy and effectively employs over 3,000 people which equates to 15% of local employment.